This Saturday, July 29, is Global Tiger Day. Tigers (Panthera tigris) are not doing well. There are only about 3,900 of them left in the wild, and they have lost 96% of their historic range (Panthera, 2015d). 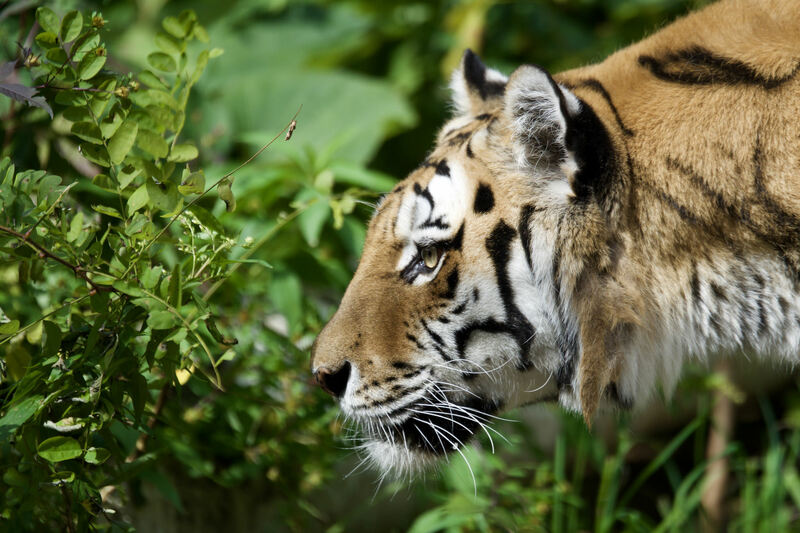 The primary threats to tigers are habitat loss/fragmentation, livestock-related conflicts, and rampant poaching for the traditional Asian medicine (TAM) trade. This latter threat is the most severe, and is primarily responsible for the tiger’s precipitous decline. As tigers become more scarce, other large cats (such as jaguars and snow leopards) are increasingly being targeted for the TAM trade. Thus the fate of multiple cat species is tied to that of tigers’. The NGO Panthera has launched a new fundraiser to help reverse the tiger’s decline. Panthera is committed to conserving all 38 of the world’s wild cat species, and they do so using the latest science and community involvement. I had the privilege of meeting some of their team members in Belize, and I was impressed with their knowledge and commitment. More importantly, Panthera’s Tigers Forever Program is having results. They are vigorously supporting local anti-poaching efforts, and have begun to see tiger population increases in 5 of the 17 sites where they are working. We now have a chance to help these successes continue. Panthera is trying to raise $25,000 by midnight on July 30. To help them, the Robertson Foundation has agreed to match all new and increased donations that Panthera receives as part of this fundraiser. So if you give to Panthera for the first time, or contribute more than you have in the past, your donation will be doubled. I have already made a contribution, and I hope you will too. It is true that we are facing unprecedented ecological challenges right now, but life is resilient. As Dr. Alan Rabinowitz says in the video below, “You just give nature a little chance, and it comes back with a boom.” I hope you will visit this site and help give nature a chance. Next Happy Global Tiger Day! I see these beautiful cats and I think, “I want one” but of course not. When I cuddle my kitty, it feels so good and I’m sure a docile one of those would feel even cozier, yet it’s man’s interference that has endangered them, so of course I wouldn’t give it a thought beyond that. They sure are handsome though. Tigers are beautiful cats, but they should never be pets. They’re far too powerful and majestic for that. I totally agree. When I was a child in the 50’s we knew people who had them in cages. It was very sad. I’m kind of a “wild” child and hate any kind of close quarters, so I totally empathized with them. The law prohibits that practice now, thank goodness. Saturday is Global Tiger day! Such a beautiful animal. Never heard of global tiger day. They certainly are! Well now you know that there’s a day designed to generate support for tiger conservation. And they could certainly use our support right now. So important Josh. It is great to have you keeping us aware of it. We cherish the wildlife. Anybody who reads my blog know I love cats. Not just the small ones either. My favorite really big cat is the tiger and to day my Caturday Thoughts are on that big cat. You’ve joined such a noble cause and these majestic creatures definitely need to be respected and protected ! Thanks Zee! It’s great to hear from you! How have you been? It’s a looong story. To summarize, I’ve been great. I spent a month and a half in Belize this summer, which I’ve started writing about on my blog. Sooner or later I need to develop my master’s thesis, but at the moment I’m trying to do a lot of reading and writing that I won’t be able to do when school starts up again.